On a moonlit night in May 1965, a large transport plane was flying low through the skies of northwestern North Vietnam on its way toward the town of Son La. Sitting nervously in the back of the plane was Team Horse, a group of five South Vietnamese commandos who were part of a covert CIA/Department of Defense (DOD) plan known as Operation Plan 34-Alpha (Oplan-34A). Team Horse was being parachuted in to reinforce the eight members of Team Easy, who had been deployed there in August 1963. The five commandos were tried and convicted of treason, and sent to prison. Only one, team leader Quach Nhung, would survive incarceration. After more than 20 years of hard labor in a Vietnamese prison, Nhung was released and immigrated to the United States in 1994. 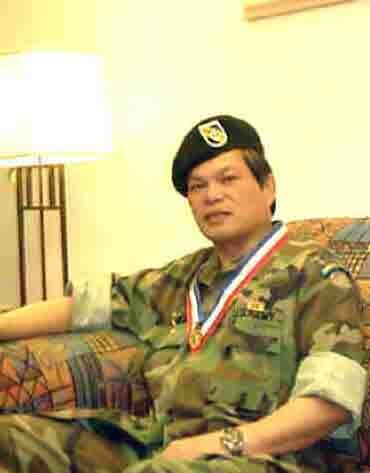 He is one of about 30 former South Vietnamese commandos involved in Oplan-34A who now live in the Atlanta metro area. From 1961 through the end of the decade, approximately 500 commandos separated into 52 small teams were sent into North Vietnam. Trained and funded first by the CIA, the operation was taken over by the DOD in 1964. At first, the teams were designed to gather intelligence, but their duties were later augmented to include psychological warfare and sabotage. Nearly of the commandos were either killed or captured almost immediately by the North Vietnamese, who had heavily infiltrated the operation with moles on the South Vietnamese side. The entire operation was a failure, and documents now show that the CIA and the DOD knew that it was. Still, they continued to send commandos to their almost certain doom. The United States' betrayal of the South Vietnamese commandos did not end there. But the betrayal of the South Vietnamese commandos still did not end there. The U.S. government is now trying to make up for its treatment of the commandos. On June 19, the Senate unanimously passed a bill that will pay the former commandos or their survivors $40,000 each, which basically amounts to an average of $2,000 back pay per year for an average of 20 years spent in prison. 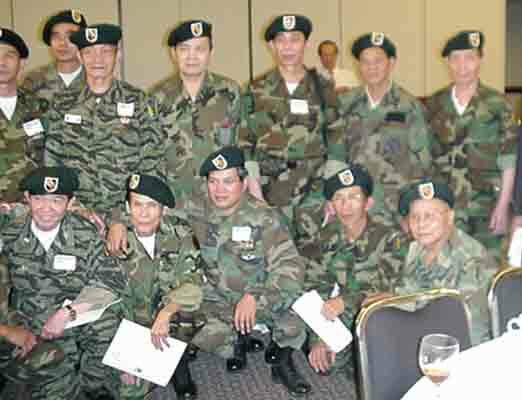 Recently, three of the former South Vietnamese Oplan-34A commandos now living in the Atlanta area sit down to talk about their life during wartime and what moving to America has meant for them. The site is the living room of a cramped apartment in an ersatz Colonial complex on a predominantly Asian stretch of Buford Highway just across the street from the Little Saigon strip mall. A group of happy, boisterous kids play on the landing. A strong odor of simmering soup rolls in from the kitchen. Sitting around the table are Nhung, 52; Team Greco deputy commander Quash Rang, 58; and Team Pegasus leader Than Van Kinh, 67. 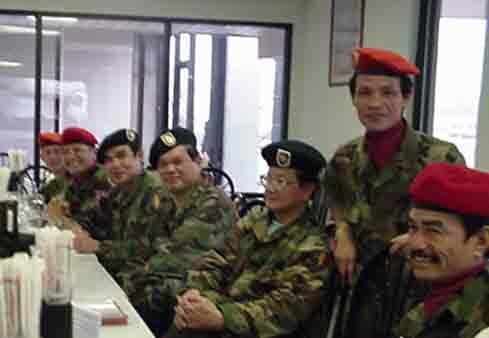 Acting as interpreter is Ha Van Son, who had been part of a similar operation, Oplan-35. Son was imprisoned for 19 years and was also declared dead to his family by the United States. Members of his operation are also being considered for compensation in the Senate bill. The men smoke almost constantly and emit a feeling of haggard world--weariness. They are all dressed similarly, in Oxford shirts and polyester slacks, and each has salt-and-pepper hair slicked down and parted to the side. When asked why they joined on with Oplan-34A, the answer comes quickly and not without some measure of incredulity. `Because everybody wanted to fight against the communists,' says Son, speaking for the group `Nobody fight with any other reason. In Atlanta, some of the commandos are retired, but most are employed in various jobs. For example, Nhung works in a factory that manufacturers containers, Son is a sales and leasing consultant at an auto dealership, and Rang and his wife own a beauty salon in Duluth--aptly named American Nails. Even though life seems to be on the upswing for the commandos, there are still a few snags. Some of the commandos, including Than Van Kinh, have had problems bringing their families to this country. His wife and son have been denied entrance. There are also some 70 former still in Vietnam, some of whom have found getting less than easy. `This is a relatively small community of people who paid a higher price than anyone who served us during the war,' says Tourison. `Unfortunately, the State Department and the INS give them absolutely no priority. What that means is that when they submit papers to the embassy in Bangkok applying to depart Vietnam or they get a request for more documents, it can take six months to a year until someone acts on it. And you know what happens? 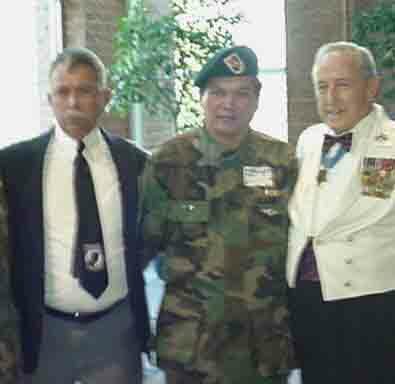 As the former commandos wait for their payment from the United States, as they wait for other comrades and stranded family members to join them, they say they are enjoying their lives in America but have not forgotten their homeland. `Of course we miss Vietnam,' says Son. `And everybody, except Mr. Kinh, who is too old, every commando thinks if we get a start on an organization, if we have weapons and we have [money], we want to go back to Vietnam to fight with the communists again. The Pentagon has failed to pay restitution to a group of Vietnamese commandos who were left behind in prison camps at the end of the war, despite legislation authorizing it to do so. Congress approved the legislation last year to compensate a group of about 280 former commandos who had taken part in U.S. spy missions during the Vietnam War. The former commandos were captured in the 1960s and left behind at the war's end, when most other prisoners of war were freed. Secret documents released last year at the request of the Los Angeles Times showed that the U.S. government had sometimes declared the men dead, even though government agencies had intelligence reports that they were alive and being held in North Vietnamese camps or prisons. "This conduct is criminal," said Sen. Arlen Specter, R-Pa.
By a unanimous vote, the Senate authorized the Pentagon to pay the men $40,000 each for the time they spent in prison. But Pentagon spokesman Susan Hansen said the Defense Department believed it could not pay the men, because the language in the bill was unclear. "We need to ask Congress to clarify the language," Hansen said. "We want to move forward." Copyright 1997,96, The Tech. All rights reserved. This story was published on April 4, 1997.